Get access to the world's most powerful suite of tools for digital creation. If you use a computer to make content, you’re going to be working with Adobe. The company’s software is key to everything from photography and video editing to website design and digital document drafting. And all these powerful programs are contained within Adobe’s Creative Cloud suite. Right now you can enter to win five years of free access to this indispensable suite of tools — a $2,999 value! — at Cult of Mac Deals. Whether you’re a photographer, videographer, web designer, copy editor or animator — basically anything that involves a mouse or screen — this is your chance to get free access to the industry-standard tools you need. The bundle we’re giving away includes Photoshop, Illustrator, InDesign, Acrobat Pro DC, Dreamweaver, Animate, Premiere Pro, After Effects, Audition, InCopy and more. As if that weren’t enough, winners will get a free portfolio website, a set of premium fonts from Typekit, and a whopping 20 gigs of cloud storage for file sharing. There are no strings attached, and you don’t have to pay a thing. 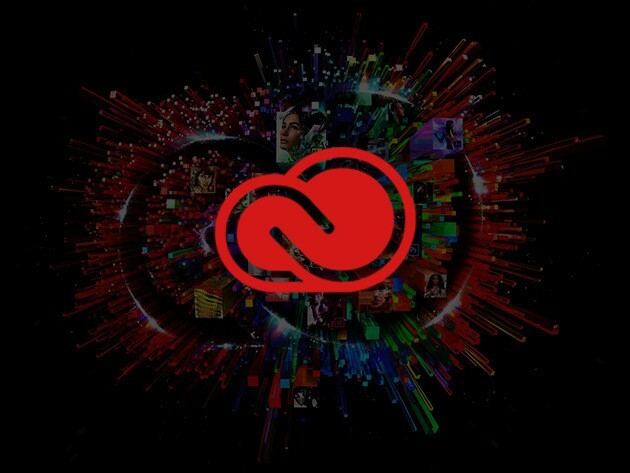 Enter now: Enter Cult of Mac Deals’ Complete Adobe Creative Cloud Giveaway for your chance to win. Whether you’re a raw (get it?) beginner or a seasoned photo editor, there’s always more to learn about Photoshop. This bundle of eight courses is fit for anybody looking to sharpen their skills with the world’s most powerful photo editing platform, from color management to working with text and web elements and beyond. Buy now: Get the “Train Simple” Adobe Photoshop Bundle for $55 at Cult of Mac Deals. That’s 92 percent off the usual price of $702. Become a master web designer with these nine courses, which clock in at almost 60 hours of content. Lessons cover responsive design, rapid prototyping, HTML, CSS, user interfaces and lots more. Buy now: Sign up for the Learn to Design 2016 Bundle for $29 at Cult of Mac Deals. That’s a jaw-dropping 97 percent off the list price of $1,209. Feel lucky? Win It Wednesday is an exclusive weekly giveaway from Cult of Mac Deals.